What are LED’s and how do they work? LED’s were first produced in 1968 and are used in just about every electronic device. They are great for projects because they provide visual feedback. An LED is a semiconductor light source consisting of two leads (an anode(+) and a cathode(-)), Semiconductor die, a reflective cavity, wire bond and encased in an epoxy lens. as compared to 1,000 hours for an incandescent bulb). LED’s are extremely energy efficient (90% less energy used than an equivalent incandescent bulb). An LED formed from pure gallium arsenide emits infrared light, which is useful for sensors, but invisible to the human eye. Adding aluminum to the semiconductor to give aluminum gallium arsenide (AlGaAs) resulted in red light we can see. The anode or positive(+) lead is usually longer than the cathode or negative(-) lead. When the leads are the same length, look for a line in the metal inside the LED. It may be difficult to see but this line will be closest to the anode or positive(+) side of the LED. Also, the cathode or negative(-) lead will usually have a flat spot on the epoxy casing. When current is flowing through an LED the voltage on the positive leg is about 1.4 volts higher than the voltage on the negative side (forward voltage). Remember that there is no resistance to limit the current so a resistor must be used in series with the LED to avoid destroying it. Forward voltage (often shown on data sheets as Vf) is the amount of voltage lost or dropped in the LED when operated at a certain current, usually defined to be about 20 milliamps (mA) or 0.020 amps (A). 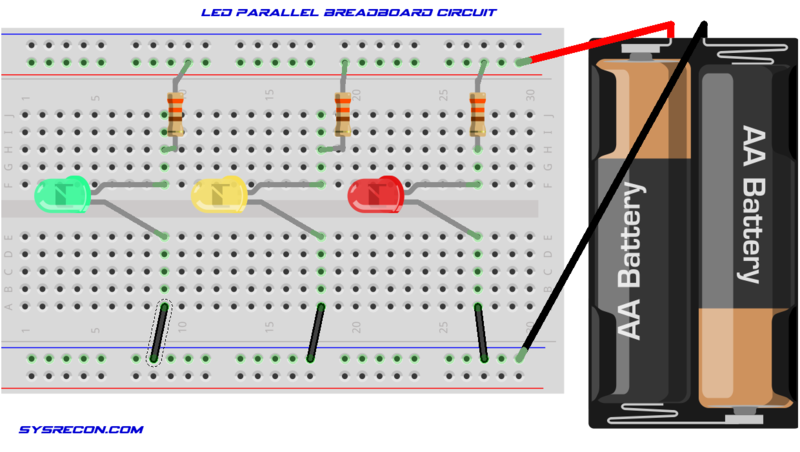 When powering an LED, unless the voltage source exactly matches the LED voltage (hardly ever), a “limiting” resistor must be used in series with the LED. Without this limiting resistor, the LED would instantly burn out. Resistors are components that have a predetermined resistance. 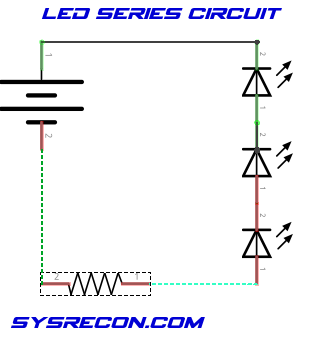 Resistance determines how much current will flow through your LED. A very high resistance allows very little current to flow. Keep in mind when using a resistor for a voltage drop of any size dissipates that energy in the form of heat. Using OHMS law to determine which resistor is suitable for your circuit. 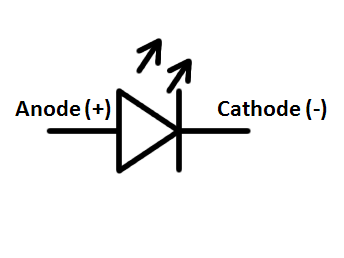 Ohm’s Law can be used with resistors to find the current flowing through a circuit. The law is I = VD/R (where I = current, VD = voltage across resistor, and R = resistance). less for the forward current, but never use more! To pass 40 mA of current through this particular LED using a 6-volt supply, you would need a 120-ohm resistor. Running an LED near its rated maximum current gives you maximum brightness, at the cost of power dissipation (heat) and battery life. You can always select a higher value resistor, which makes the LED less bright but can extend its life. If you select a lower value resistor, you run the risk of burning out the LED. If you want your batteries to last longer, you can pick a current that is only one tenth of the rated maximum current. Do determine if the resistor you have is of the correct ohms, please have a look at our Resistor Color Chart and Calculator. 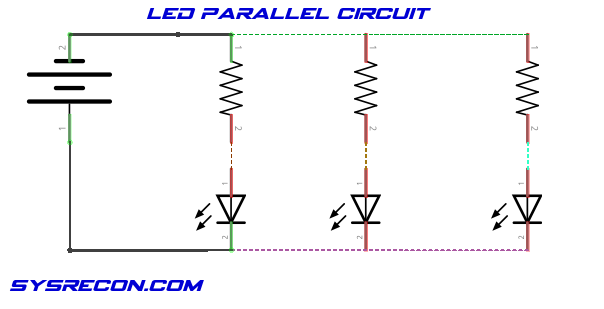 In a parallel circuit, the voltage is the same through all components (LEDs), but the current is divided through each. In a series circuit, the current is the same, but the voltage is divided. In a series circuit, the sum of all LED voltages should not exceed 90% of the supply voltage to ensure stable light output.All LEDs should have the same voltage (Vd) and current (I) properties. Mixing of LEDs with large device voltage differences or current requirements in the same series group will not produce good results. Make sure that the sum of all device (LED) voltages doesn’t exceed that value. 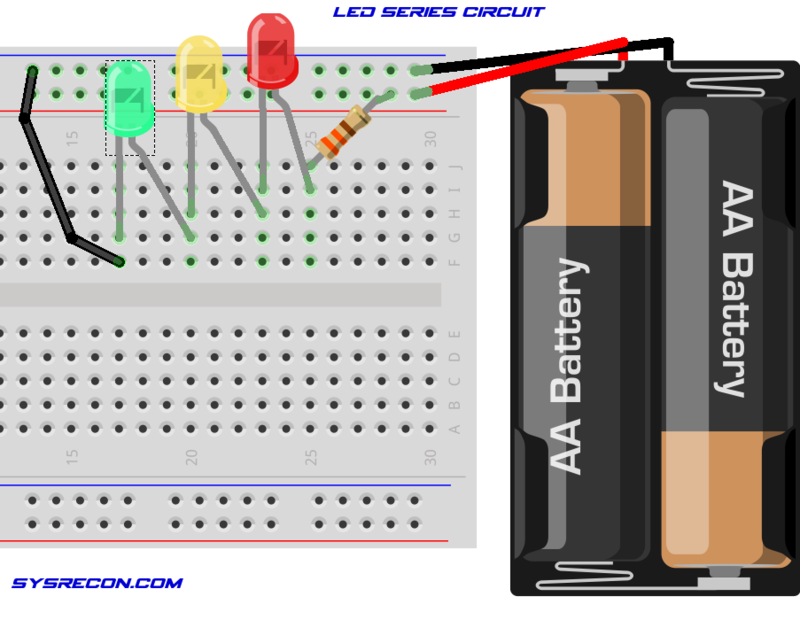 LEDs are strictly DC devices and will not function using alternating current (AC). 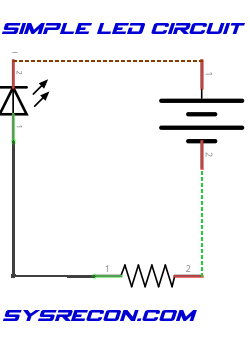 If the voltage source is to be supplied from track pickups, a bridge rectifier should be used to ensure LEDs only receive DC and unchanging polarity. To conform with “Standard Electrical Practices” keep your limiting resistor as well as any button or switch component on the anode or positive(+) side of the circuit. 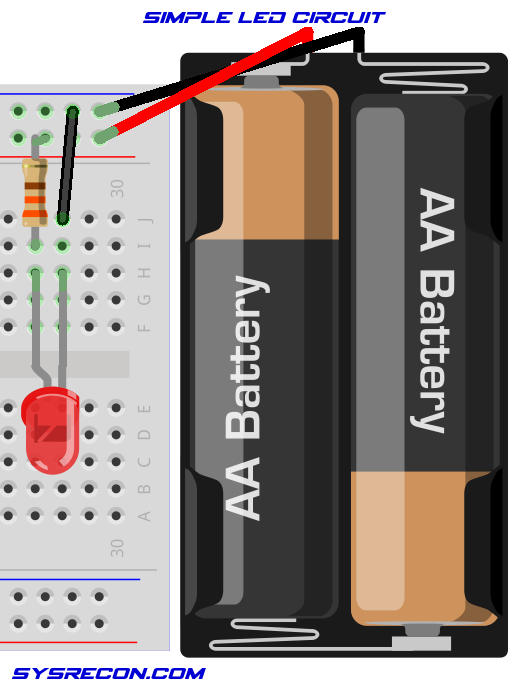 The circuit will function either way, but as standard safety practice in electronics, it is recommend to keep the disconnect on the positive side to minimize the possibility of shorting to other grounded components.